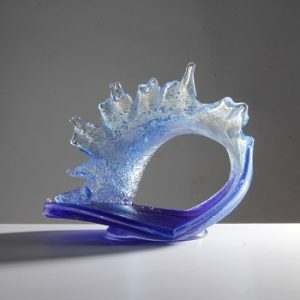 The Seaspray vase has a theme of sea and movement. The minimal form of the vessels contrast the intricate surface patterns and blends of color. The patterns that emerge from the frosted glass are beautiful and evocative. name, makers mark and the title of the piece.